Grab this free, quick and engaging measuring angles activity to go alongside your angles math unit study. Your homeschool will enjoy this set of 15 puzzles to measure angles with a protractor from 15-180 degrees. This practice can help with measuring, then be used to sort and classify angles. 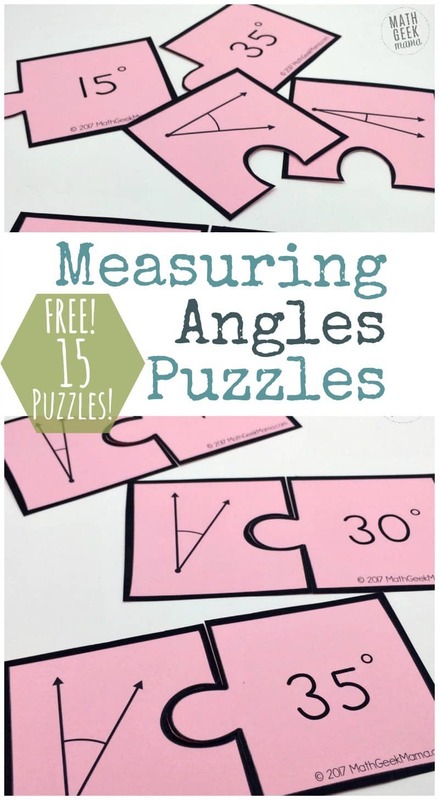 Click here for 15 free puzzles for measuring angles from Math Geek Mama.